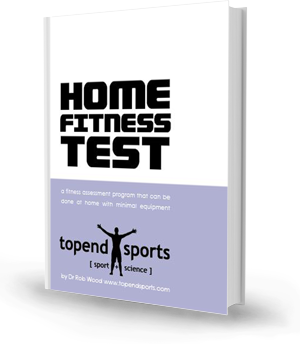 The home fitness test is a free ebook describing a series of simple fitness tests that you can use to assess your own fitness. There is no expensive equipment required (see list), and you don't need to pay a gym or personal trainer to test you. You can do the test in the privacy of your own home - there are no embarrassing results. The manual is free, and once you download it you can retest yourself as many times as you like. 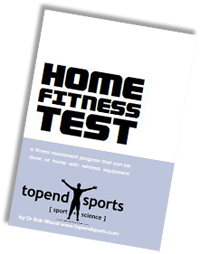 The Home Fitness Test is designed for people of all levels—from those just starting out on a training program to high level athletes who want to monitor their own training results with ease. There are 10 tests, encompassing a wide range of fitness components. Each test description includes clear diagrams and simple explanations.